Over the past few years I have seen a major shift in the organic search space. The first major development occurred when Google started shaping search algorithms in an attempt to better understand user intent, which correlated to a change in the way pages were ranked (think Panda, and Penguin) which then correlated to a shift in the way users engage with search results (think Google Carousel and Knowledge Graph). Google has continued its efforts to better enhance user intent by encouraging SEO practices to focus on content. The first essential step to creating a successful SEO program is writing with humans in mind. Build relevant content strategies. First step is to make a list of topics to cover from one month to the next and then build short and long tail keywords pertaining to those topics. Next is to to build out individual pages for each topic to improve ranking and build page authority. Organic Conversions: This could include form completions, phone calls, Sign Up or registrations and social shares. Increased Engagement on Social Media: This could include an increase in likes, shares, new followers and re-tweets. Top Organic Landing Pages: This can give some insight to the pages users are engaging with most frequently. Traffic by Geo: Where are you spending your marketing dollars? Are you seeing an uptick in traffic from those areas? An informed client is a good client. The more we as practitioners are able to transfer knowledge to a client, the easier it is to do our jobs. 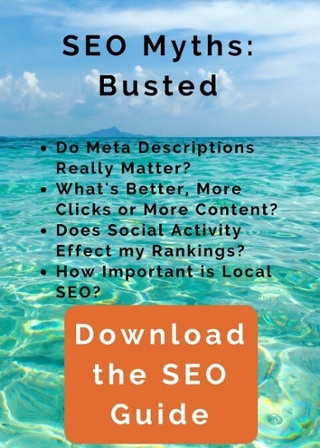 I believe SEO gets a bad rap because often times what we DO is shrouded in mystery. And while there is a small segment of the SEO community that wants to keep it that way, I believe complete transparency is the future. Outranking your competition should be important. And while higher rankings do lead to more traffic, investing substantial sums of money into marketing ego isn’t always the best use of resources. Remember that marketing is a means to an end, not the end itself. The results and return on investments are the true goals. This is why partnering with a holistic digital agency is advantageous, so you can compare different strategies toward this end. SEO is going to continue to change and evolve. As practitioners and strategists, our job is to understand how to implement the best practices for businesses’ programs and to continually prove the value of SEO all while improving return year over year.